"Beer, please," said the man with an orange head. 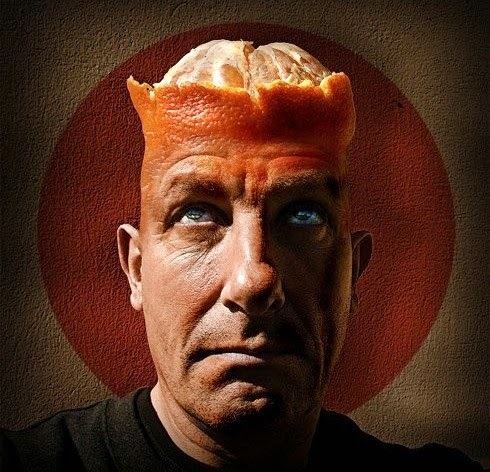 The bartender poured the drink and said, "Do you mind me asking why half your head is an orange?" "Oh, that?" said the man. "I found this old lamp, and you know... three wishes ... genie, etc." "A genie!?" exclaimed the incredulous bartender. "But what in Bejesus' name did you wish for, man?" "Well the first was for a beautiful wife." "And the second was for more money than I needed." "Good one. And that last?" The man hesitated. "I'd rather not say. I feel silly." "Go on, I'll buy you another drink on the house." "OK, well for my third wish I wished that half my head was an orange."